You can grow this envelope! 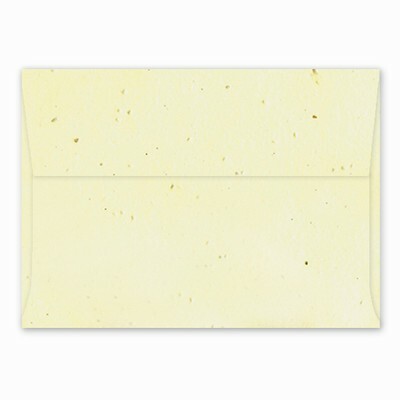 This A7 size envelope fits an A7 (5" x 7") panel or folded card. It is available in any color of our Grow-a-Note® plantable seed paper or our Chia & Herb plantable paper. Each envelope is handmade and is the perfect finishing touch! Available in a pack of 10. Since Grow-a-note® envelopes are handmade to order, all sales are final and they are not eligible for return or refund.